iSkysoft Toolbox for Android is an all-in-one software, which aims to deal with all kinds of Android issues like data recovery, lock removal, data backup & restore, SIM unlock, data extraction (damaged device), root, screen recorder, etc. with 1 simple program. With it, you can enjoy your digital life without any worries. Download iSkysoft Toolbox Android for Windows Now! All the tools you need to simplify your Android life. It includes Android data transfer, backup, recovery, erasing, and phone unlocking, etc. Meet the inrevented iSkysoft Toolbox: 6 powerful features in one pretty package. Transferring files between Android devices and computer doesn't have to be difficult. iSkysoft Android data transfer enables you to transfer Android photos, music, videos, contacts, messages, Apps, etc. to a Windows PC or Mac (and vice versa) effortlessly. No complicated procedures, no third-party cloud services. In case of your precious data getting lost, iSkysoft Toolbox – Backup & Restore (Android) allows you to backup Android phone and tablets to computer in 1 click. You can also view the backup items in detail and choose to restore when needed. Forgot password on Android devices happens a lot between you and me. No matter you just forgot the password, locked out of Android phone by any reasons, or just got a second-hand phone, iSkysoft Toolbox - Unlock (Android) is the best Android lock screen removal to save you all the troubles. All phone unlocking process will be done within 5 minutes! Devices contains banking information, logins, personal photos and contacts, etc. But what most people don't know is that deleted data can still be recovered with proper data recovery solutions, even after factory reset. So, take privacy seriously. To prevent our privacy falling into the wrong hands, it's neccessary to completely destroy the data with a professional Android data erasing tool. 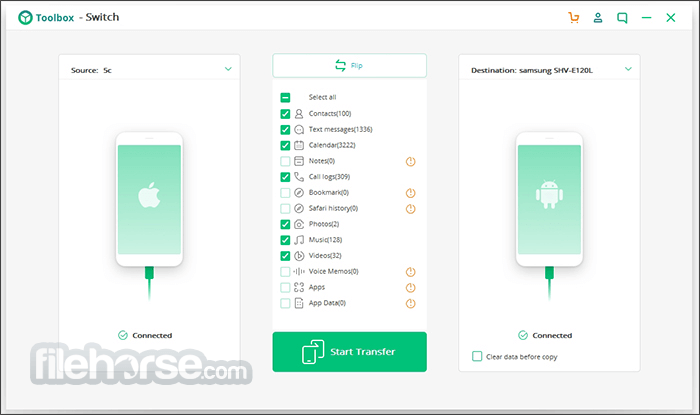 Your One-stop Solution to Transfer between Android device and computer! Transfer photos, music, videos, contacts, SMS between Android and computer. 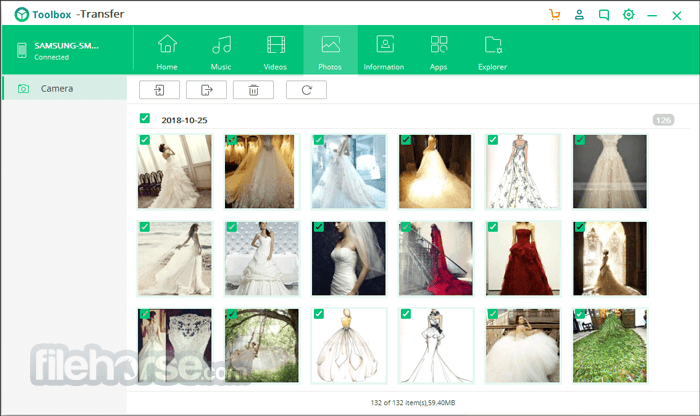 Import, export, delete photos/music/videos individually or in bulk. Transfer media files between Android and iTunes library. 1 Click to Backup and Restore Android Data! Backup iPhone data in 1 click and restore to iOS/Android selectively. Restore iCloud backup to Android phone. View and browse iCloud backup. Restore iTunes backup to Android phone selectively, without overwriting existing data. One-stop Powerful Android Data Recovery Software! Recover contacts, sms, call log, photos, music, etc from Android phone internal memory. Recover photos, videos, music, documents, etc from SD card on Android phone. Extract data from Samsung phones even when it's broken and inaccessable. Remove Android lock screen without data loss! Remove Android password, pattern, PIN & fingerprint lock. No technical skills required. Anyone can unlock iPhone/iPad in minutes. Wipe Android phone completely. 100% Not Recoverable. Erase everything from Android devices with military grade wiping algorithm. Supports to erase All Android devices. Full compatible with Android 8.0.